The third summit of the Three Seas Initiative is held on the 17th and 18th of September 2018 in Bucharest. After meetings in Croatia, 2016, and Poland, 2017, leaders of 12 Central European states will gather on the shores of the Black Sea to further empower their cooperation. Interestingly, for the first time, Germany and high-level EU officials are participating in the Summit. Thus, the Three Seas Initiative enters into the EU’s political and economic mainstream. The ambition of the Three Seas Initiative is to enhance infrastructure coherence in the loosely economically related region of Central and South-Eastern Europe. This goal translates into the development of energy, transport, and digital infrastructure corridors between the countries of the region, thereby increasing the interconnectivity of the entire area stretching from Estonia in the North to Croatia and Bulgaria in the South. Both symbolically and economically the objective hits the mark. The enhanced coherence of the region and subsequent coherence of the European Union is a worthy idea. Development of infrastructure is not the goal in its own terms. The investments will result in expanding business opportunities, fostering growth and higher economic resilience. For years, development of connection along the North-South axis has been neglected. Activating this potential is of great value, which Three Seas Initiative offers to its participants. What is particularly promising is the energy dimension of the project. It exemplifies the gains the project may bring. There are different challenges for both the electricity and gas sectors in CEE. The common answer to solve them, however, is interconnectivity and more regional cooperation. Central Europe’s gas transport infrastructure is still predominantly oriented along the East-West and East-South directions. In recent years we have experienced several positive developments concerning the construction of LNG terminals in Poland and Lithuania, and several systemic interconnectors necessary for the full use of the EU’s security of gas supply mechanisms. On the other hand, the region still largely remains dependent on imports of Russian gas. The situation is both politically and economically risky as it allows Gazprom to enjoy the position of the dominant supplier. This outlook might become even gloomier if the pipeline Nord Stream 2 is constructed. It would result in incremental obsolescence of the Ukrainian transit route and a changed pattern of gas flow in Europe. Gas supplied to several Central and South Eastern European states would have to be delivered from a western direction, eventually clogging the interconnectors that would limit access to the spot markets and hubs and thus consolidate Gazprom’s grip on the entire region. Three Seas Initiative in energy could be understood in its scope to cover such flagship projects as the North-South Gas Corridor, Northern Gate (Baltic pipe and extension of LNG terminal), or BRUA pipeline, all of which offer real diversification of supply to both the region and all participating countries. The steady development of the North-South Corridor shows that, in the case of cross-border projects, high-level political support is indispensable. The development of liquid and healthy national gas markets requires different balanced sources of gas supply. According to the ACER Annual Report, none of the Central European states meet this criterion. Under the umbrella of Three Seas Initiative, it is possible to implement comprehensive diversification projects and take advantage of the growing global LNG market, possible exploitation of Romanian domestic gas deposits, and access Norwegian gas via the Northern Gate and Azeri gas via the Southern Gas Corridor and IGB. Increased interconnectivity is also a necessary condition for the intensification of the gas trade within the region, which should lead to the development of an integrated Central European gas market. The Three Seas Initiative could be a suitable platform to implement such an endeavor and create a more economically resilient region. In the electricity sector, Central and South Eastern European states are confronted with an immense challenge of modernization of its power generation and transmission infrastructure. The EU imposes a strict framework for greenhouse emission reduction and required share of renewable energy targets. These conditions, especially when coupled with strong price signals of the EU Emission Trading System, limit possible choices concerning the development of a generation portfolio. It requires a profound adaptation for the region with a still high share of fossil fuels in electricity production. However, as many studies prove, the cost of capital is much higher for the region than for the western part of the continent, and that hampers its development and poses the risk of no compliance with higher RES targets. Simultaneously, the currently negotiated new electricity market design legislation prioritizes stronger regional cooperation, be it: the establishment of Regional Coordination Centers, cross-border participation in capacity markets, or development of common RES projects. The coordinated development of infrastructure paves the way for better management of electricity flow within the region and more commercial exchanges, contributing to more competitive domestic markets. Furthermore, the sector of research and development and innovations can be another fruitful field of cooperation, combining resources and know-how of various regional players. The annual Three Seas Initiative summits, which gather national leaders, provide impulses and the highest level of political support to better coordinate work on different levels – from both governments and businesses. I believe they provide the necessary incentives to overcome possible bottlenecks and to mobilize support for common projects. One of the aims of the Bucharest Summit is to shortlist and prioritize major strategic projects in the energy field. Within the last year, we have seen incremental institutionalization of this Initiative. The Business Forum, whose first reunion is scheduled in Bucharest, may play an important role in bringing together representatives of businesses from the region and other interested countries and creating new business opportunities and partnerships across the region. Central Europe Energy Partners is eager to play an important role in the functioning of the business forum. CEEP could become an operator of energy platform which would include companies, government representatives and other energy stakeholders from the region. The platform would serve as a facilitator of cooperation between different entities and as a place of forging the new ideas and projects, as well as the solution for encountered problems. Moreover, the Three Seas Initiative Fund will be established with the aim of being operational next year and with a budget of up to 5 billion EUR. Combined with the EU funds and EIB loans, it has the potential to make a real change on the ground and the entire project more attractive for participating states. Three Seas Initiative is primarily an economic endeavor. It is a response to the identified deficiencies in the infrastructure system of Central and South Eastern European states and the long-standing problem of insufficient connectivity between them. Progress in this field would strengthen economic competitiveness and the resilience of the participating states and contribute to a more coherent and better connected European Union. 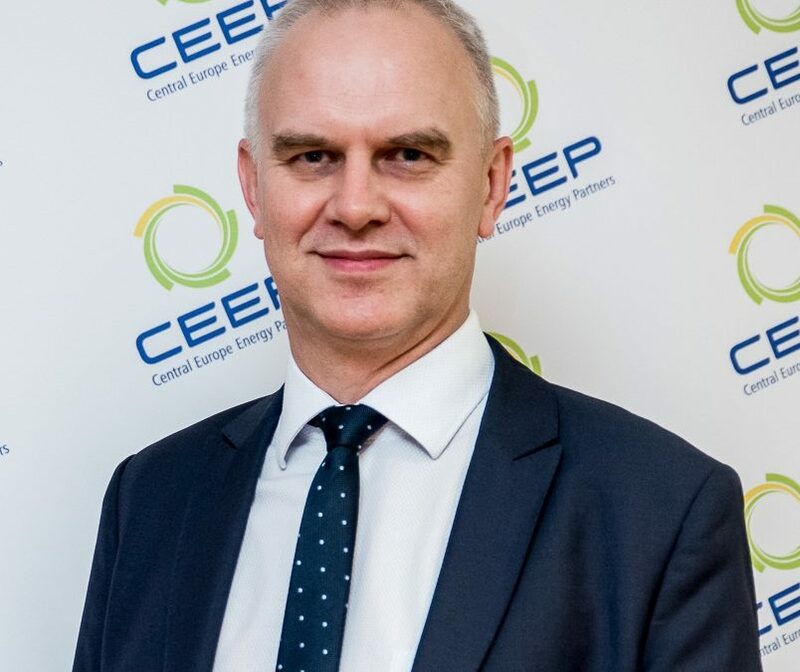 prof. Leszek Jesień is a Chairman of the Board of Central Europe Energy Partners (CEEP) and Director for International Cooperation in PSE.